Easterseals Arkansas' two developmental preschools provide quality special education, medical services and pediatric therapies for children. We are hiring! 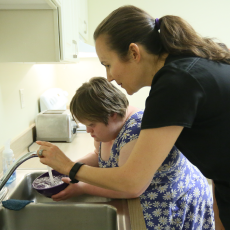 Join our team where you can make a difference in the lives of people with disabilities. The Academy at Riverdale is a private K-12 school, offering quality special education in a small classroom environment. 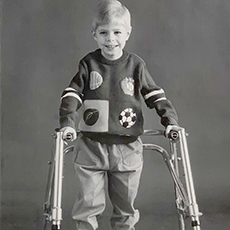 The purpose of Easterseals Arkansas is to change the way the world views and defines disabilities by making profound, positive differences in people's lives every day. 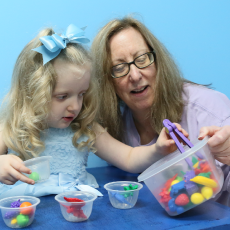 Easterseals Arkansas' services include developmental preschools in Little Rock and Stuttgart, pediatric speech-language, physical, and occupational therapy and our Center for Training & Wellness which assists adults with finding jobs and learning new skills. Meet our 2019 Easterseals Arkansas representatives. From left, clockwise, is Adult Rep Miracle, Youth Rep Jessica, GPCDC Rep Jackson, and Child Rep Manny. This lively crew will represent Easterseals Arkansas at various events throughout the year. Easter Seals Arkansas provides quality early childhood education and therapy services for children with special needs. Learn more about our preschools and outpatient therapy services. Ready to begin a rewarding career at Easterseals Arkansas? Click below to start your journey. Easterseals Arkansas has wonderful Corporate Partners that generously support our mission. Click below to find out more!